We are unabashedly proud to be Teamsters. It's a union with a proud history of standing up to employers and of blending modern sophistication with good old fashioned common sense. Whether we sit behind a desk or the wheel of a truck we are power brokers in our own right. Ours is a perspective that puts working people first which means respect on the job a living wage and safe working conditions before corporate profit. We want our employers to succeed in business but we also think the wealth should be shared with the workers who generate the profit. To those who say trade unionism is an anachronism in a global economy that comment is a hallucination dreamt up by those who wish it so. The reality on the street is that trade unionism is more alive than ever especially the Teamster brand of trade unionism. We are a thriving movement committed to protecting and enhancing the lives of working people. With a membership of 7200, Local 31 is one of four Teamster locals in the Province of British Columbia. Geographically, Local 31 also covers the Yukon Territory. Local 31's membership consists of members employed in the manufacturing and several large units within the Public Sector. These members, along with those employed in the freight, courier, and warehousing industry, make Local 31 one of the most diversified local unions within the International Union. Teamsters Local 31's Head Office is located on Annacis Island Delta, British Columbia. 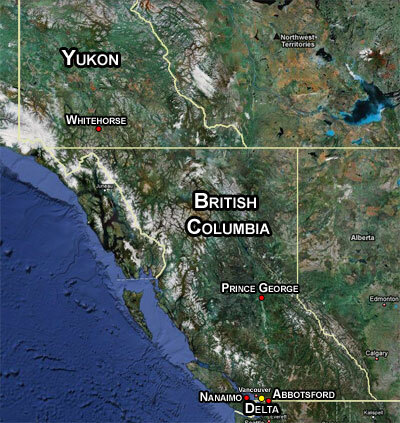 Satellite offices are located in Whitehorse, Prince George, Nanaimo and Abbotsford. 101D - 33140 Mill Lake Rd.